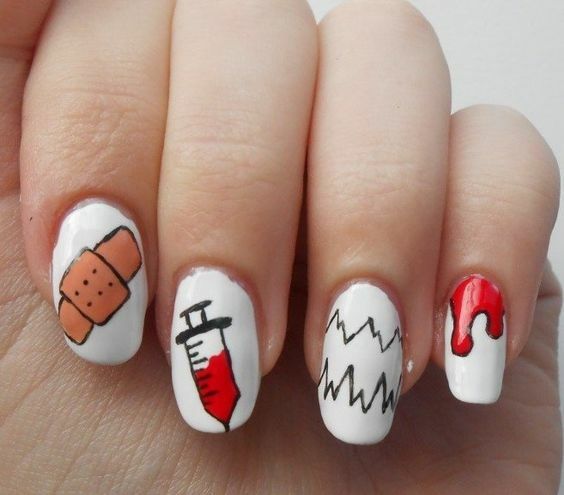 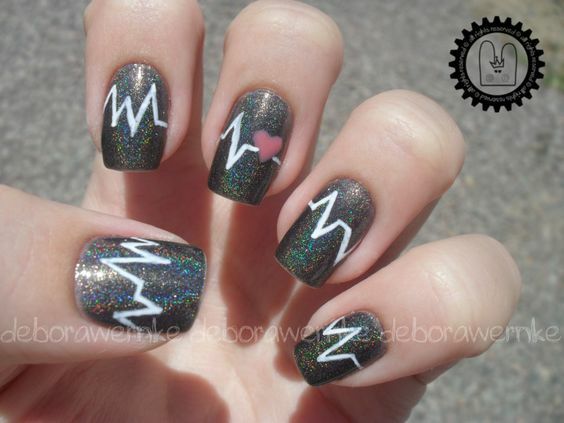 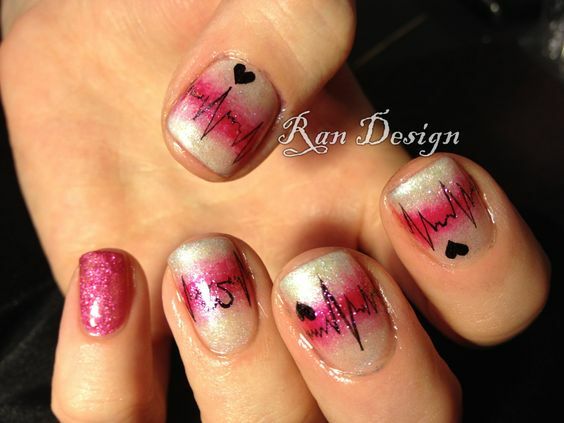 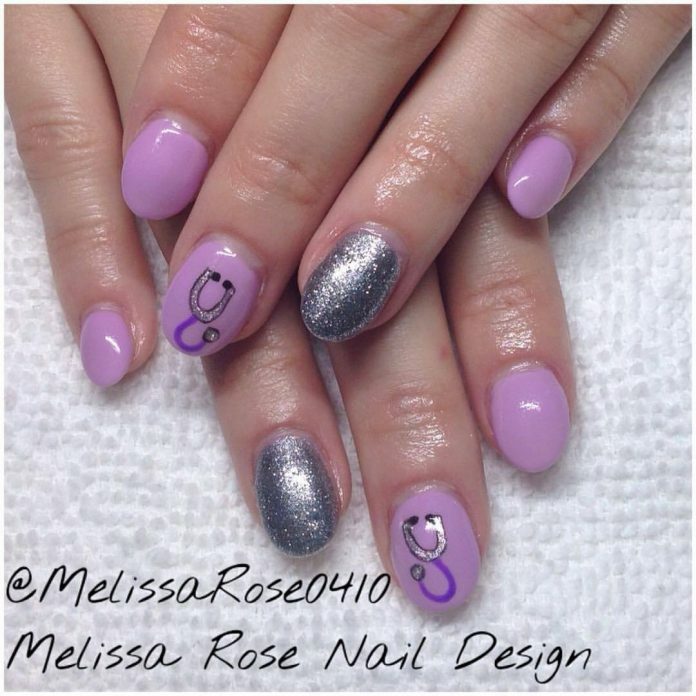 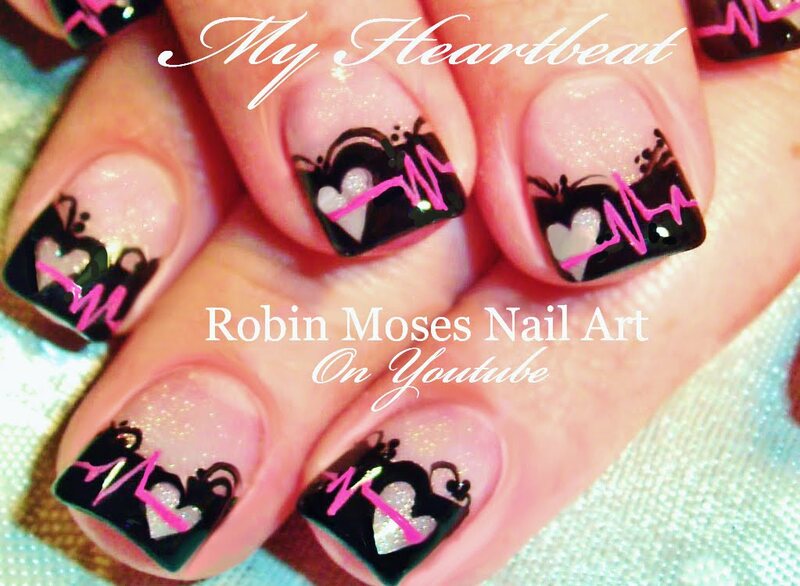 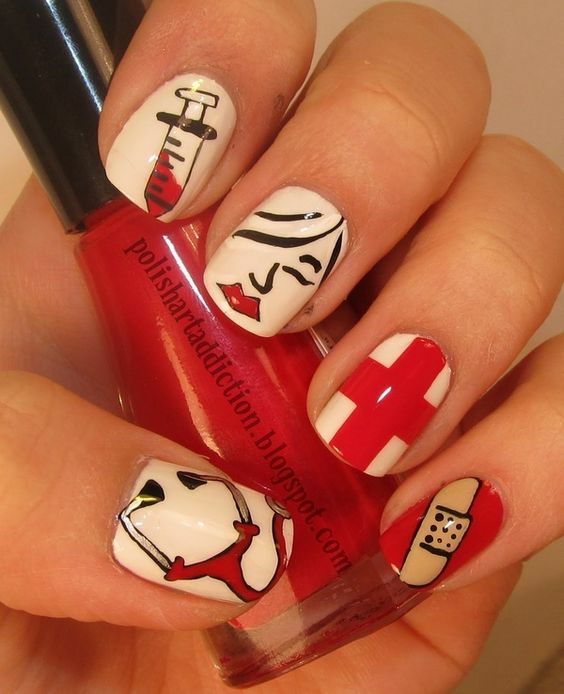 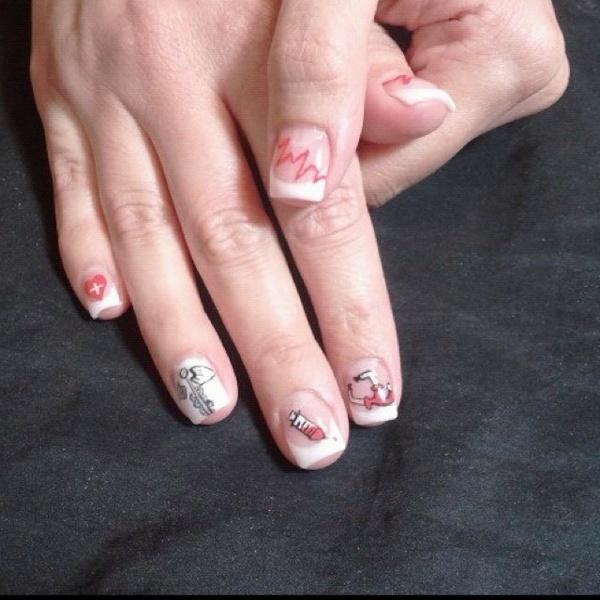 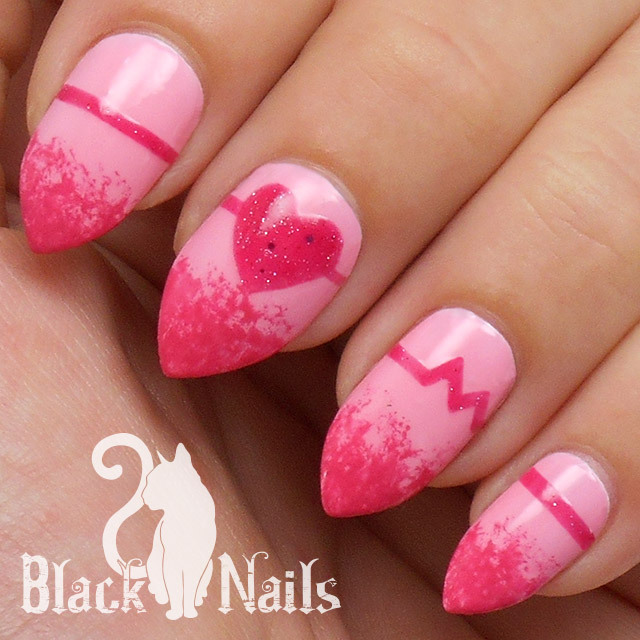 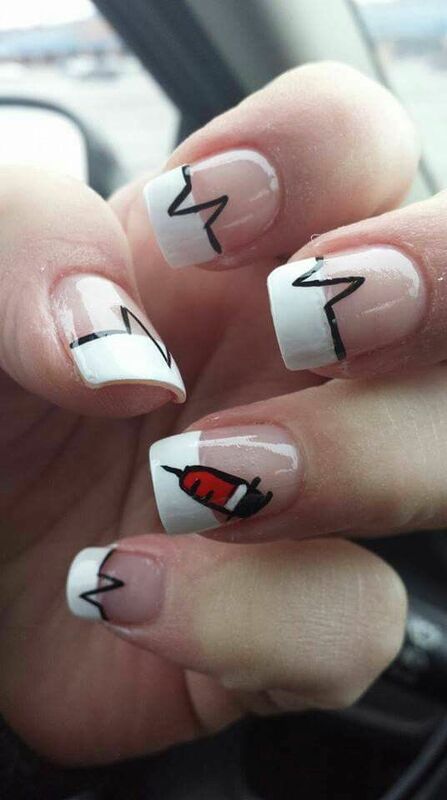 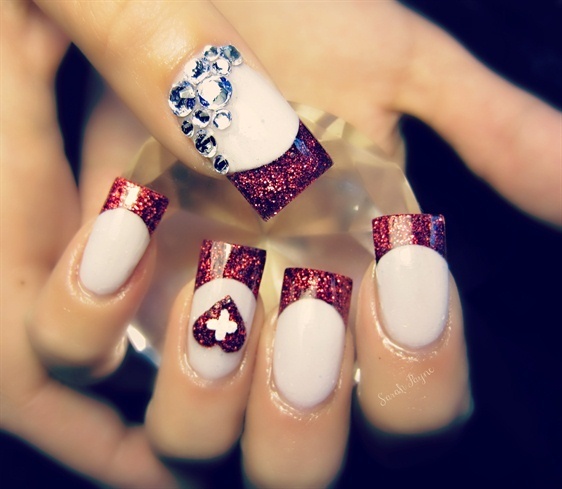 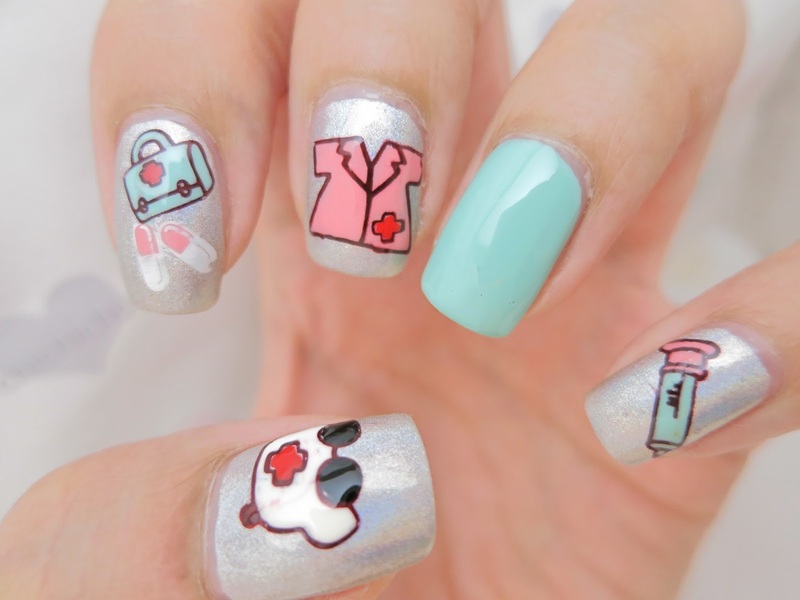 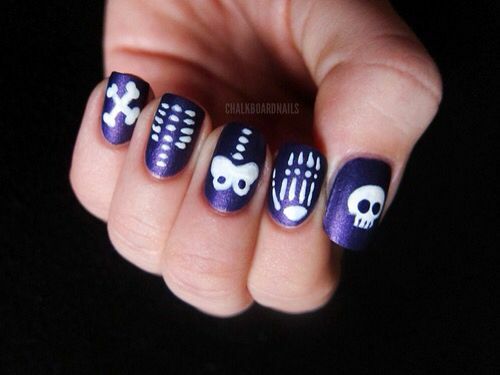 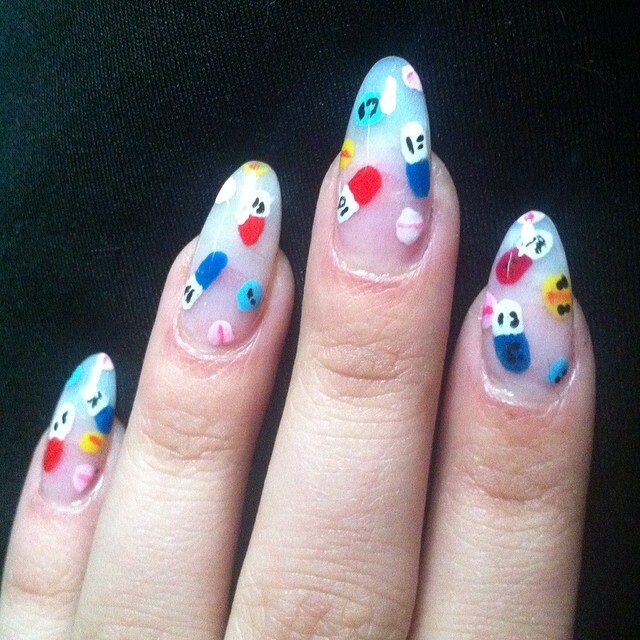 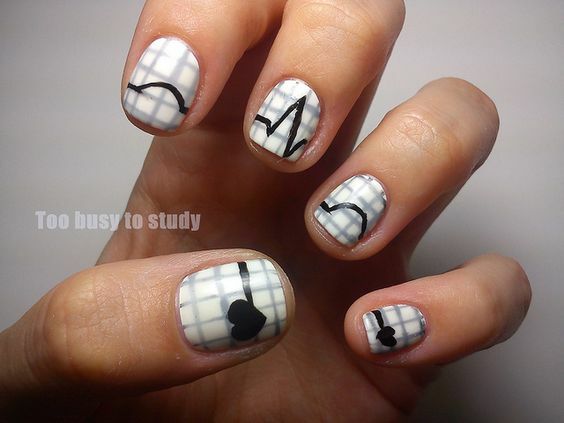 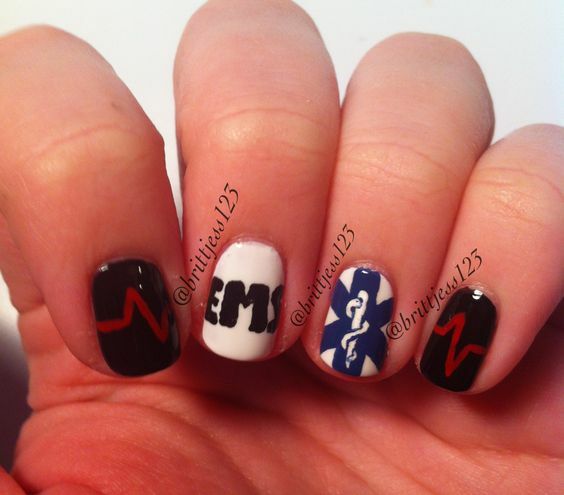 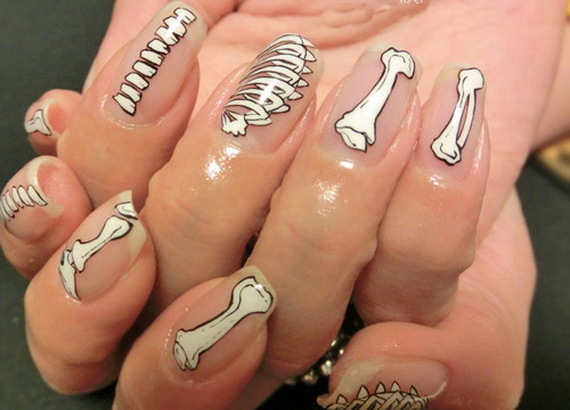 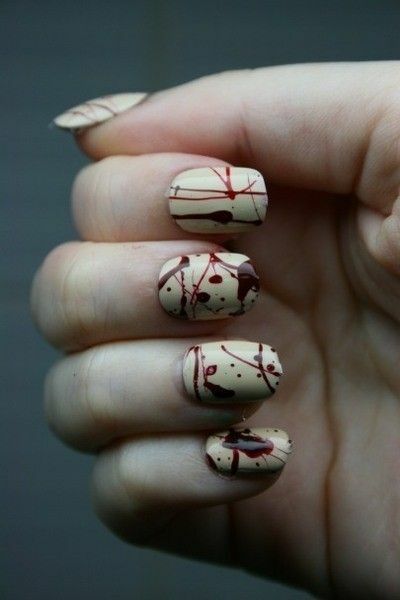 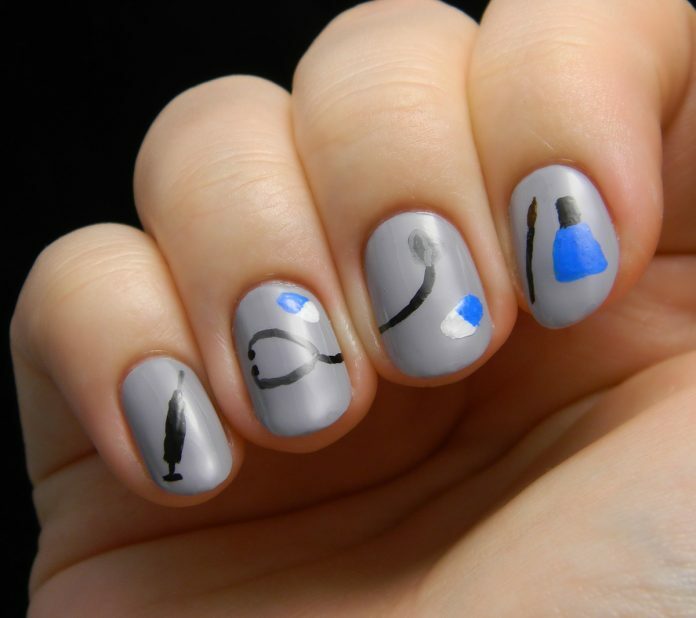 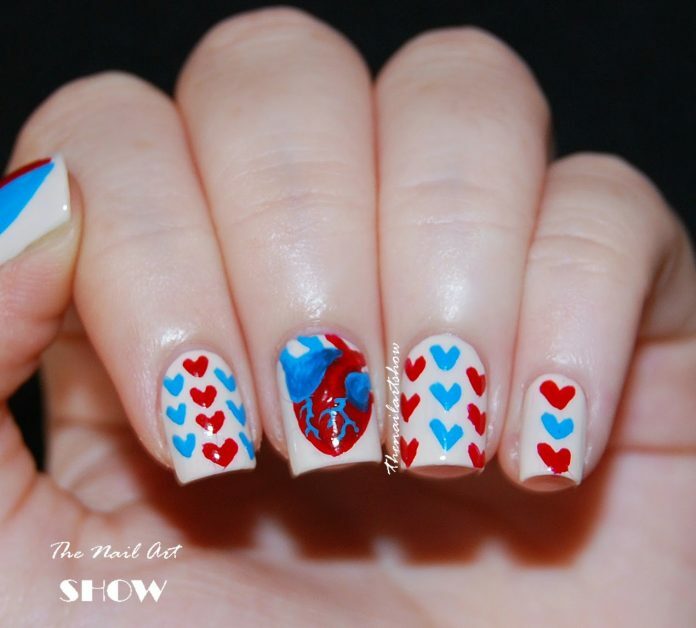 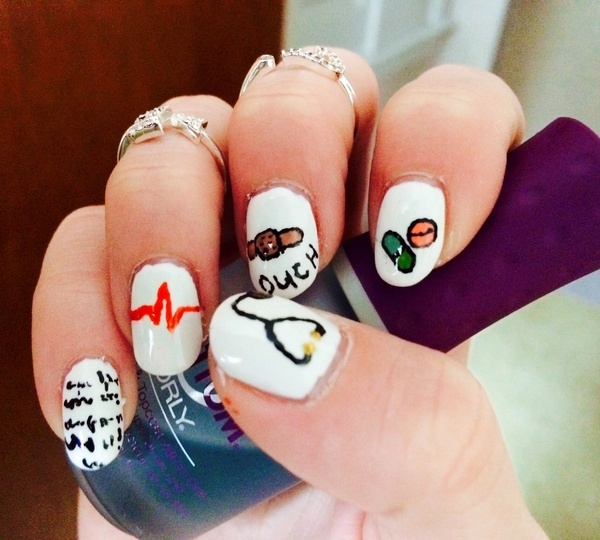 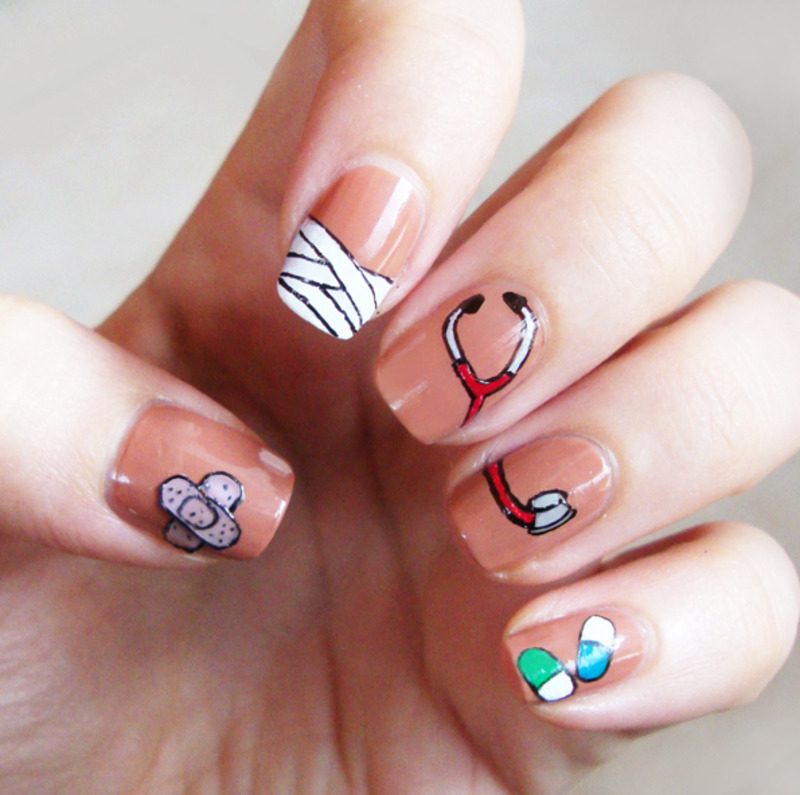 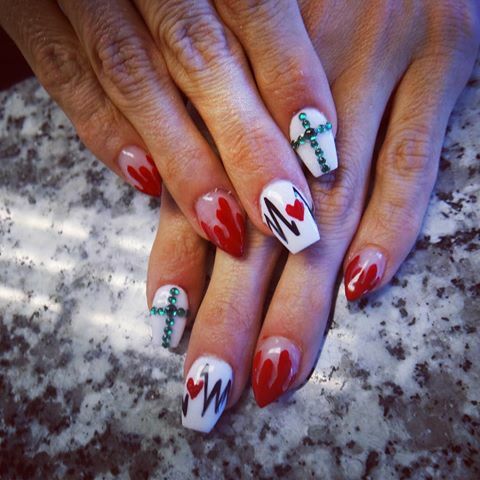 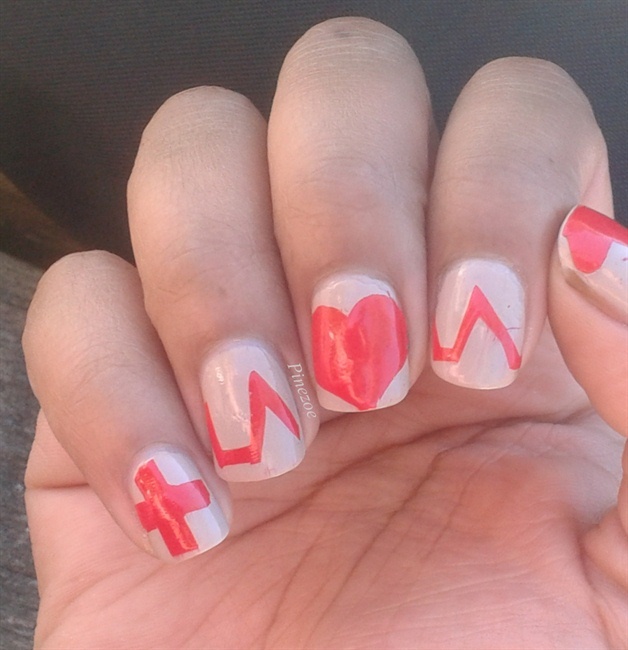 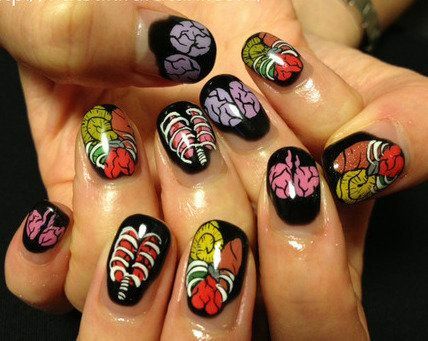 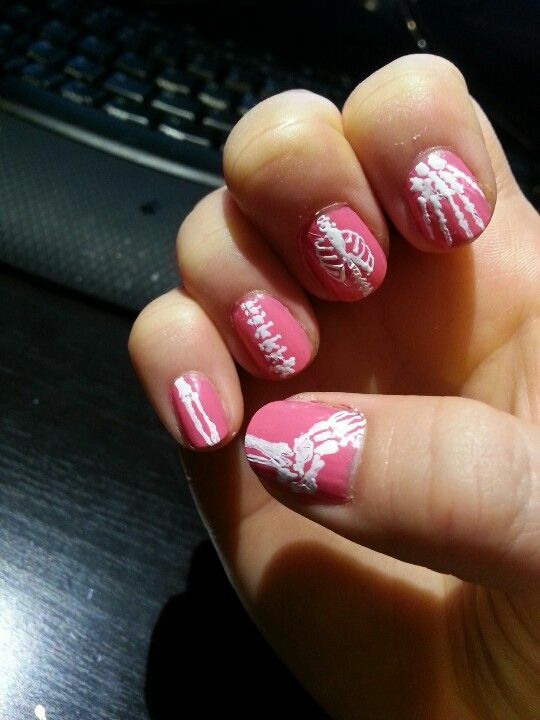 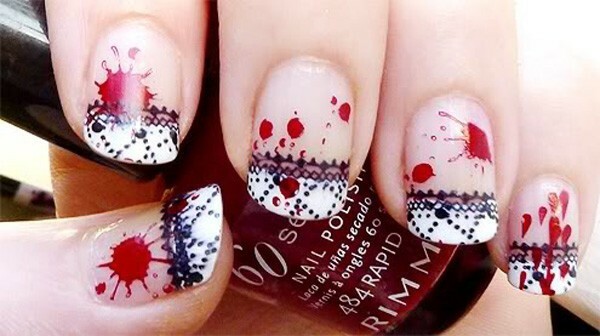 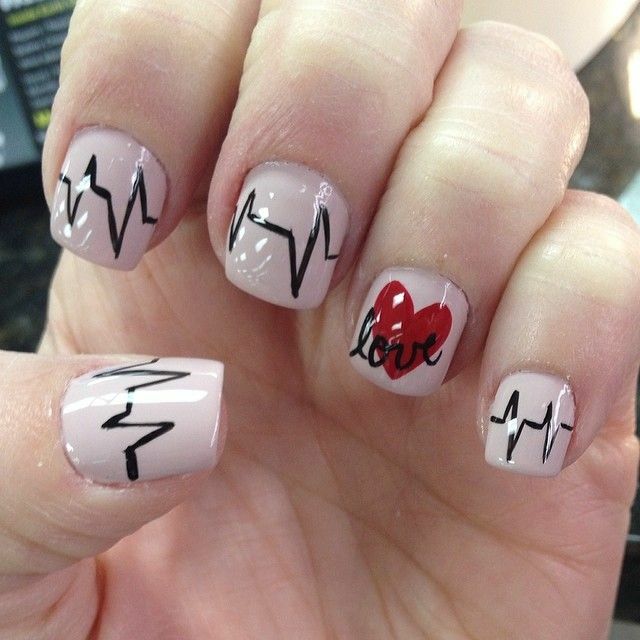 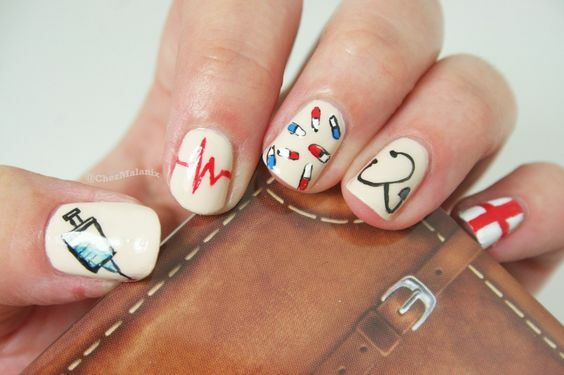 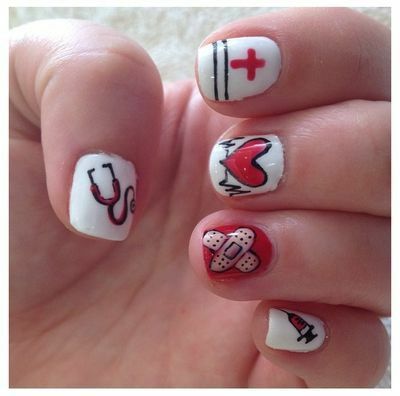 For sure, there are many nail art enthusiasts among nurses out there. 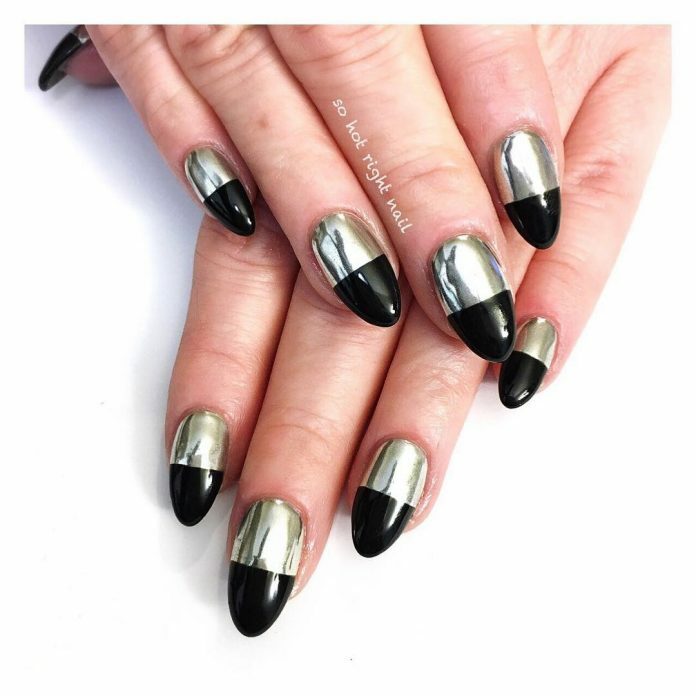 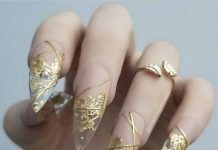 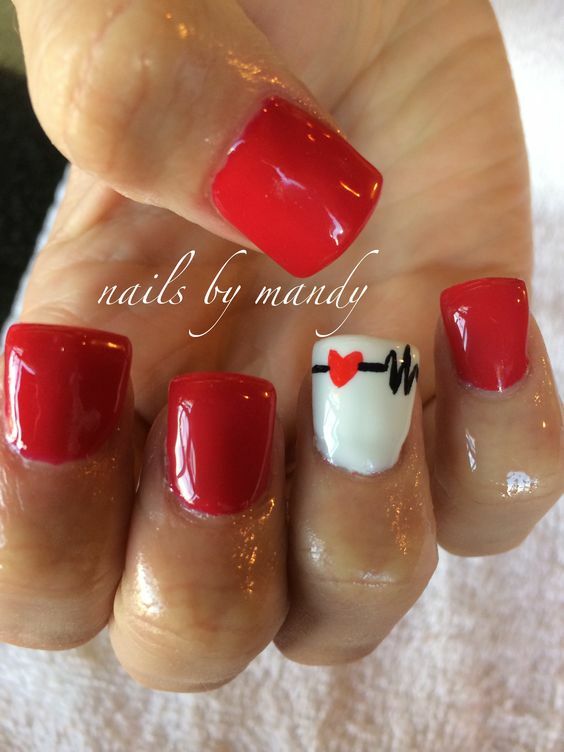 However, because of the risk of infection from chipped nails, extensions, and artificial nails, nail-loving nurses are having to pass up on them. 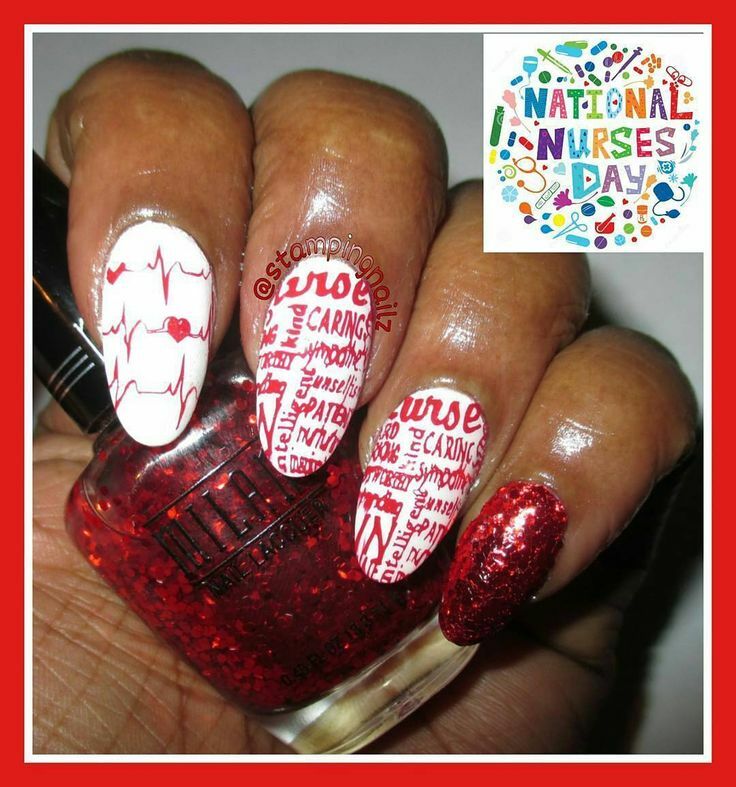 Tom Sandford of the Royal College of Nursing stated, “Nail varnish and extensions harbour bacteria and prevent good hand hygiene.” One nurse laments how a cheerful design would have made her day brighter, however, it is recognized that patient safety comes first for medical staff. 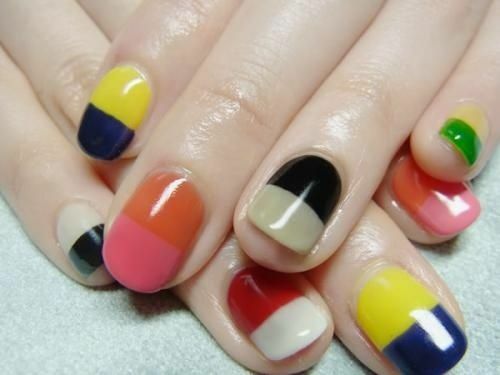 So when can they wear nail polish and show off their own style via nail art design? 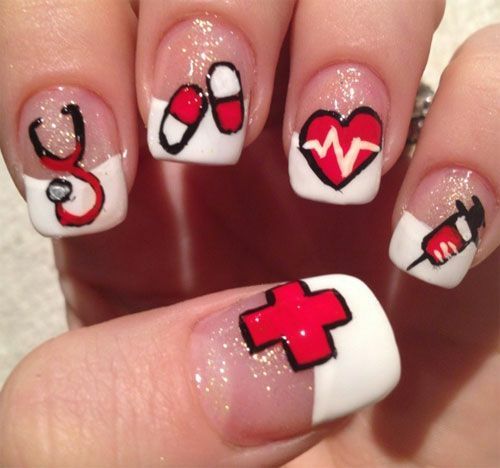 The safest answer would be during day-offs and vacations. 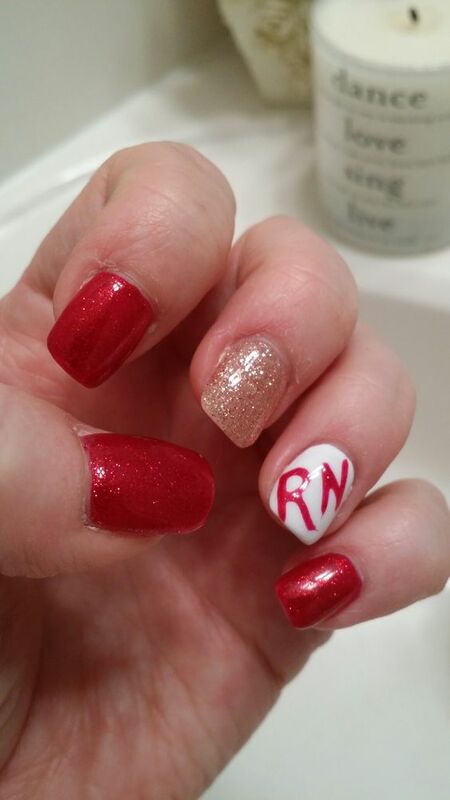 Another would be during special events like Halloween or Christmas when nurses have costume parties. 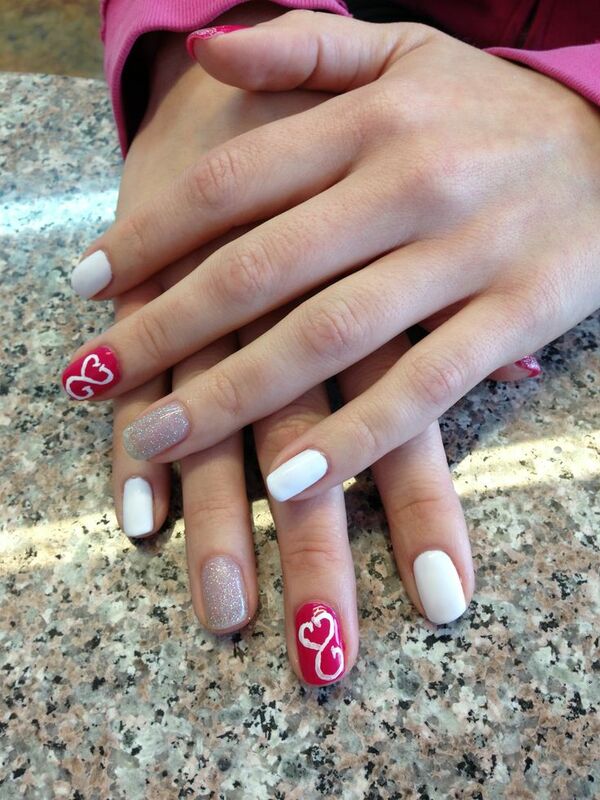 For those occasions, we have the perfect array of choices for you. 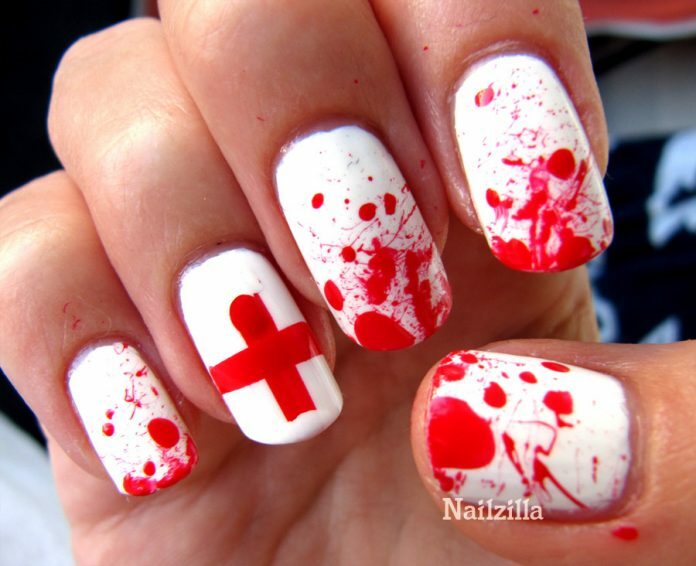 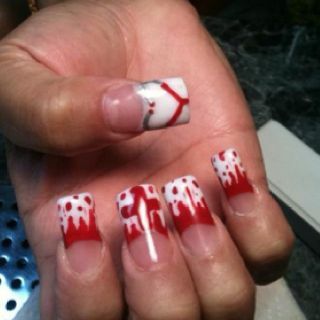 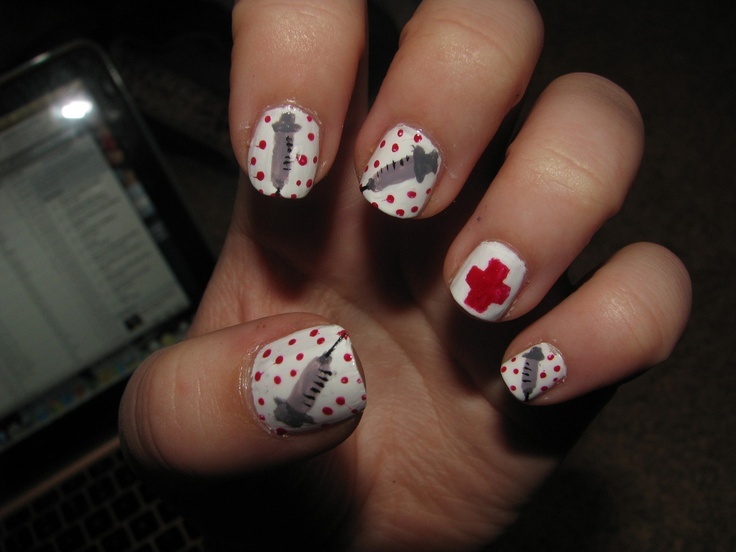 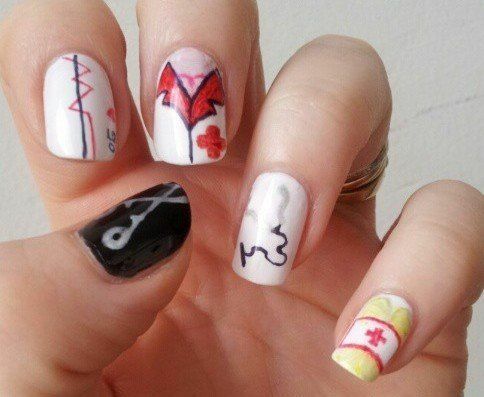 Check out these nurse nails. 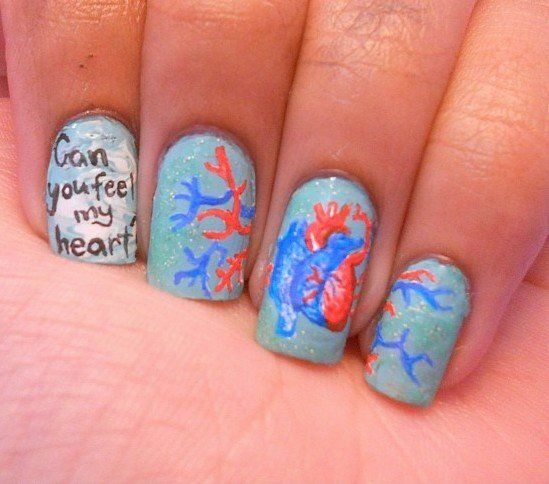 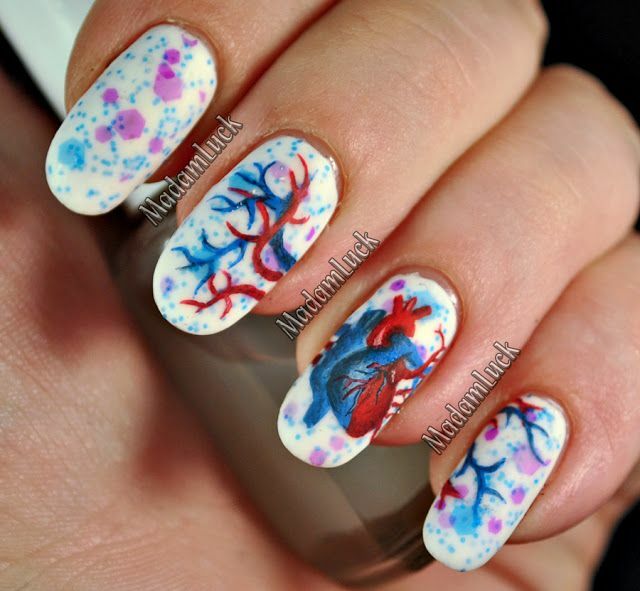 You’ll find an amazing and dazzling collection ranging from finely detailed body parts, humorously gross anatomy, blood abstract art, skulls and bones, pun-y lines like “can you feel my heart?”, and ECG nail designs. 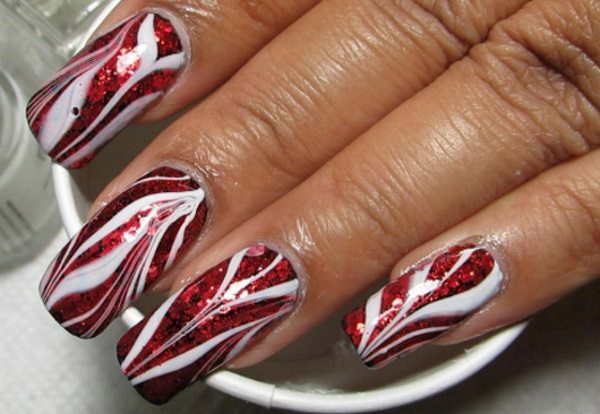 We’ve got them in a dizzying mix of colors, mattes, sparkles, and acrylics. 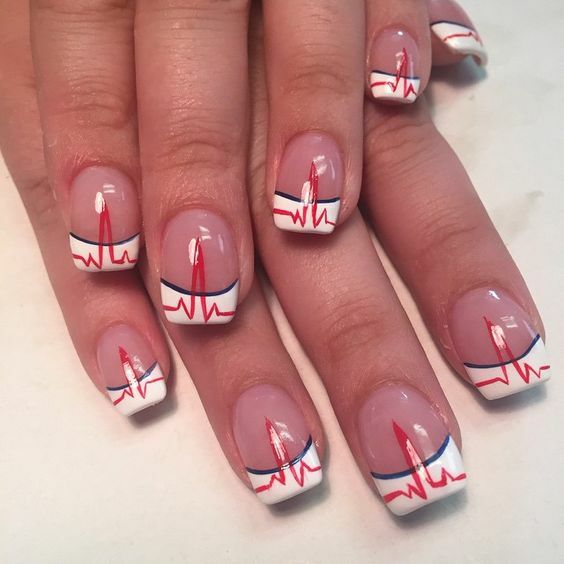 On the other hand, the profession of nursing is first and foremost a body of science and since it is science, the data that illustrates the wavelength of life is the life of nurses themselves. 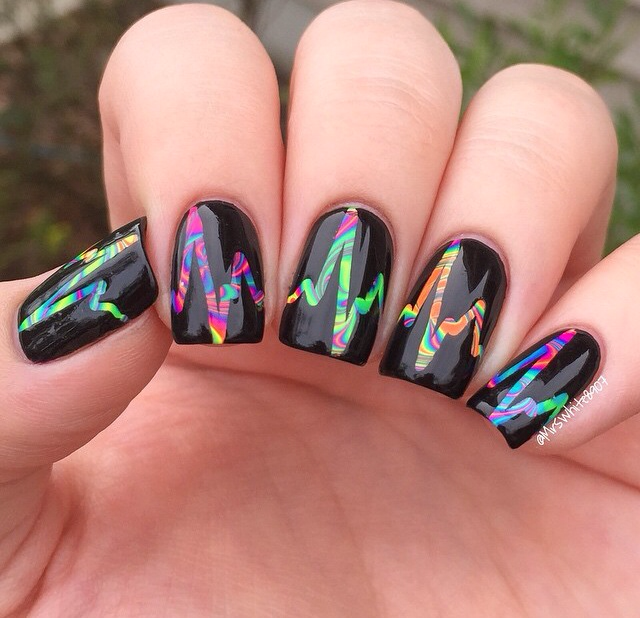 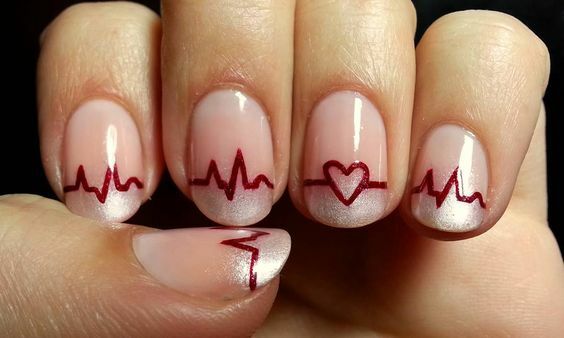 Heartbeat, ECG, EKG, and lifeline are art on its own. 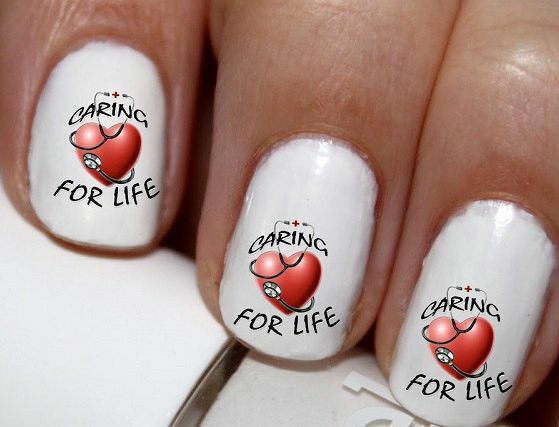 The artistic nail art ideas that are derived from these signs of life celebrates the effort and beauty of the profession. 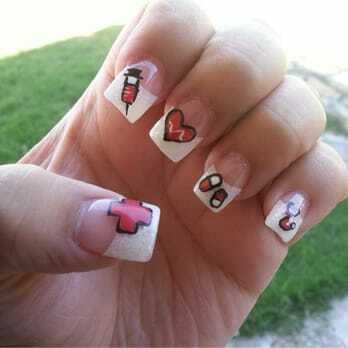 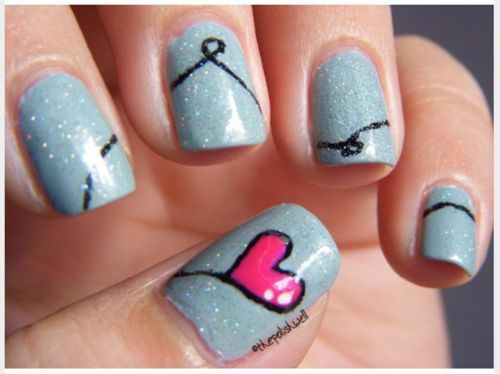 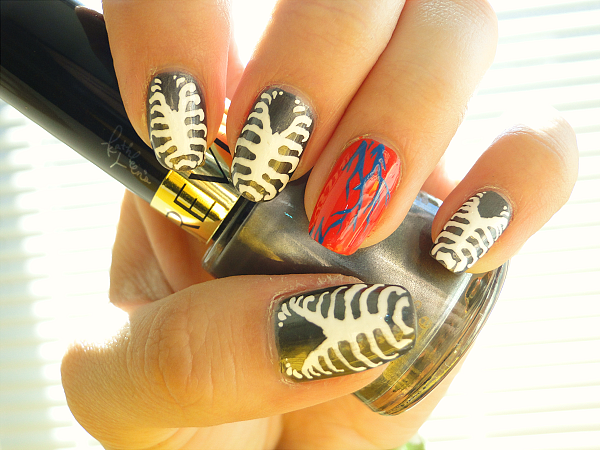 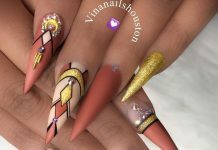 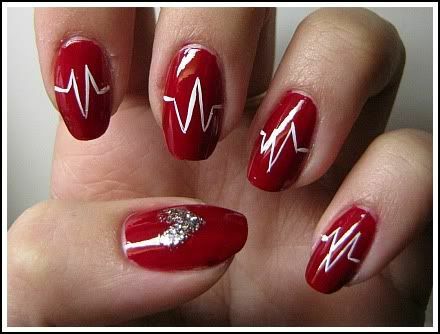 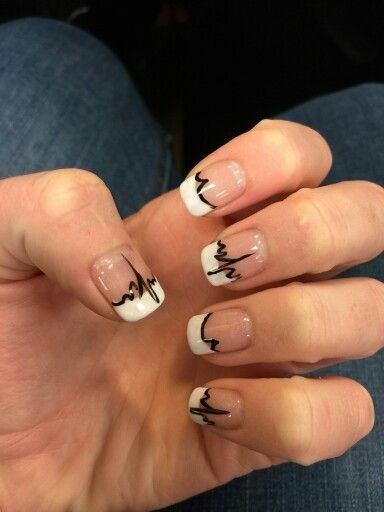 Check out the best nail designs samples of these lines and curves, the best things about nursing. 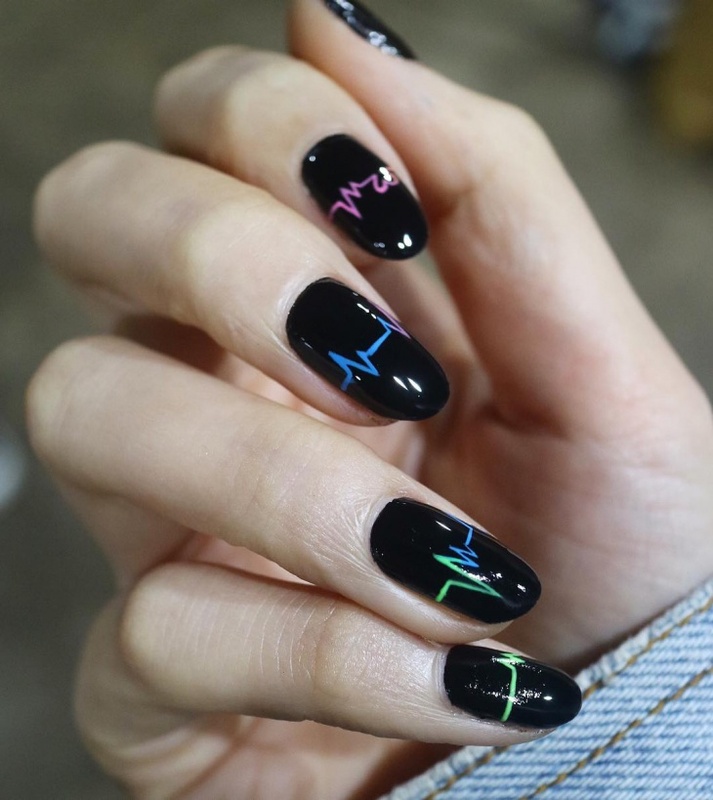 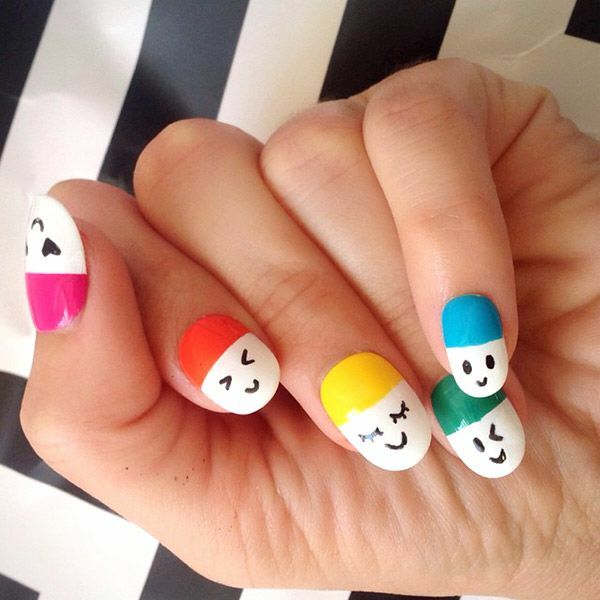 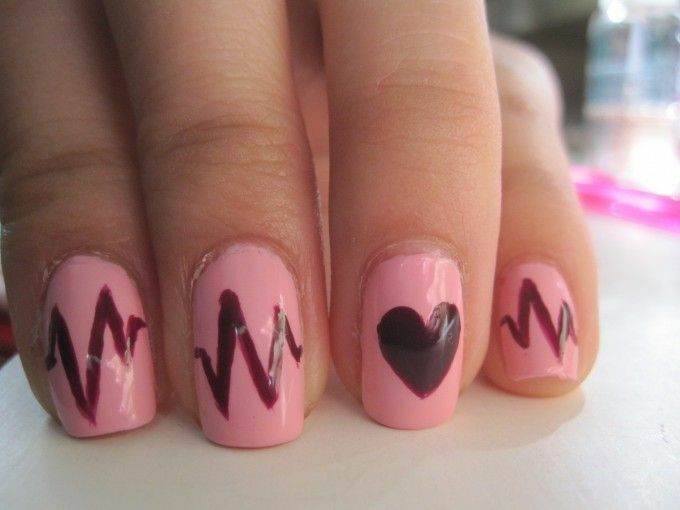 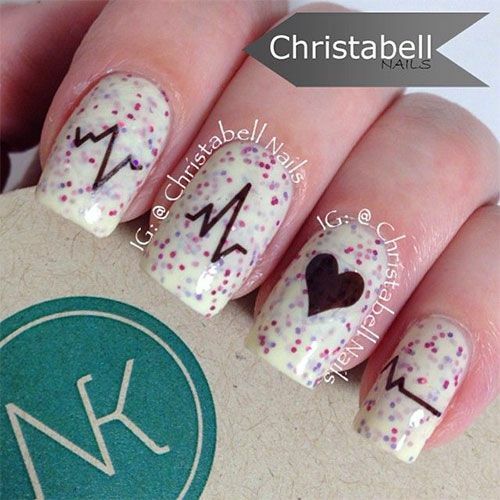 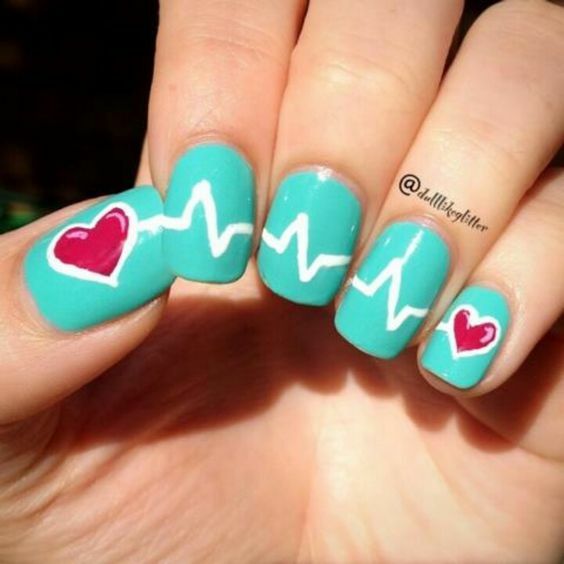 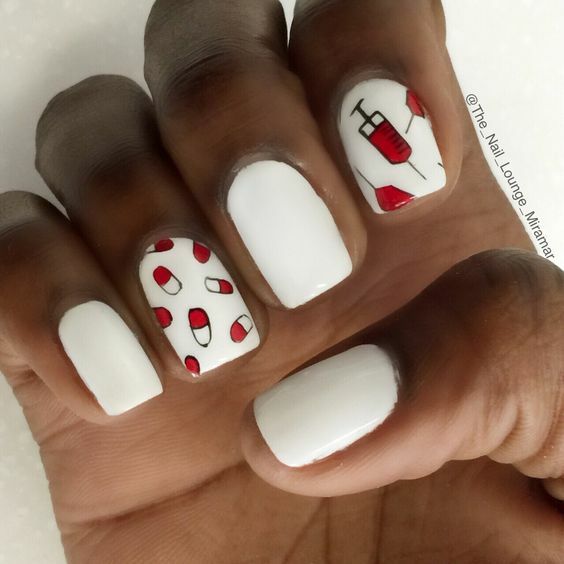 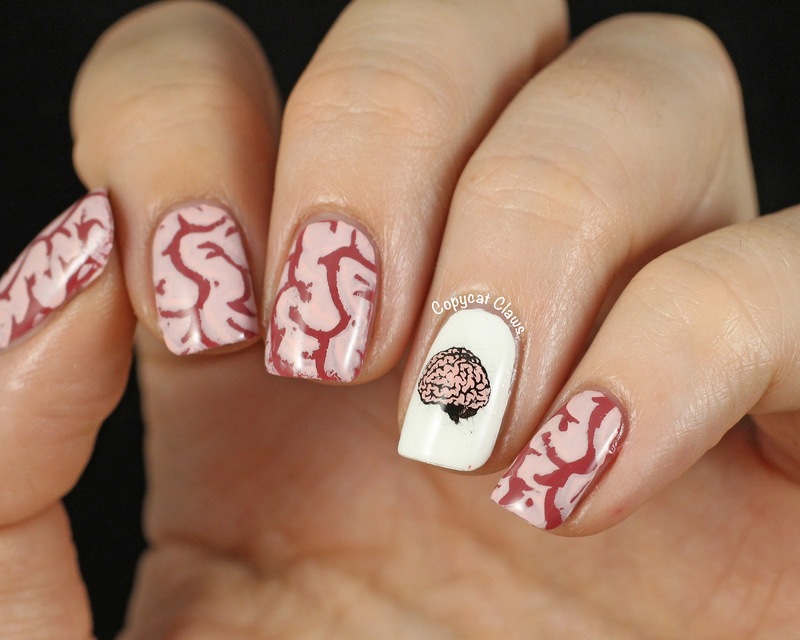 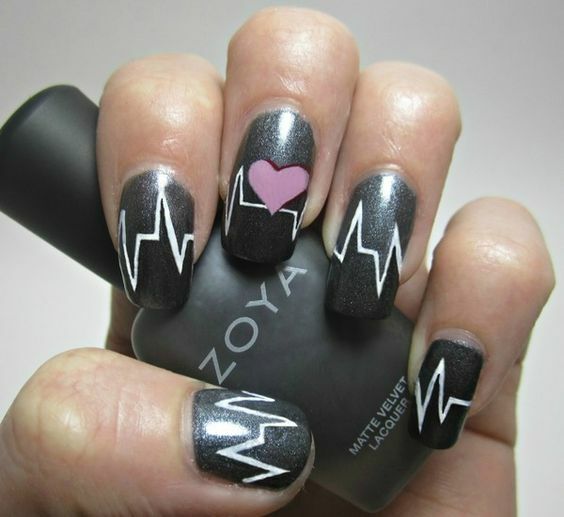 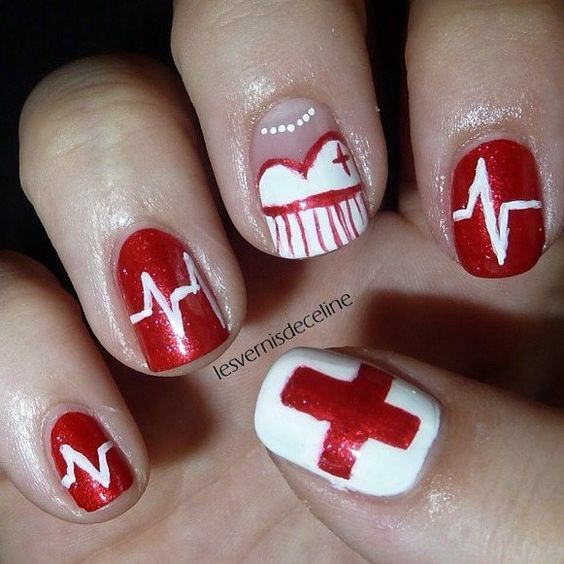 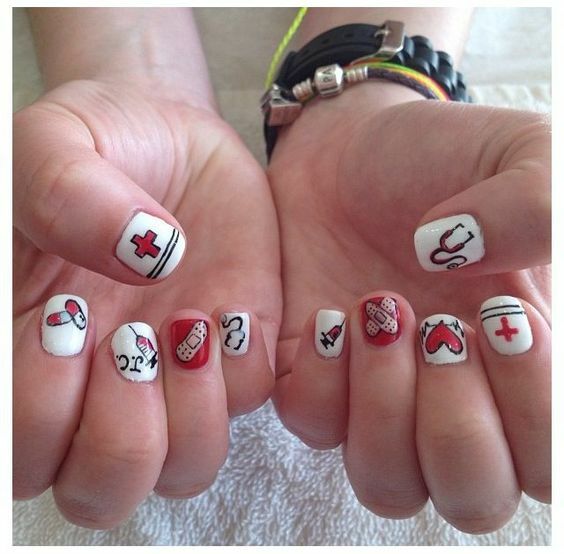 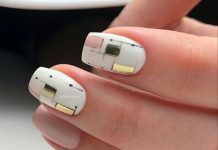 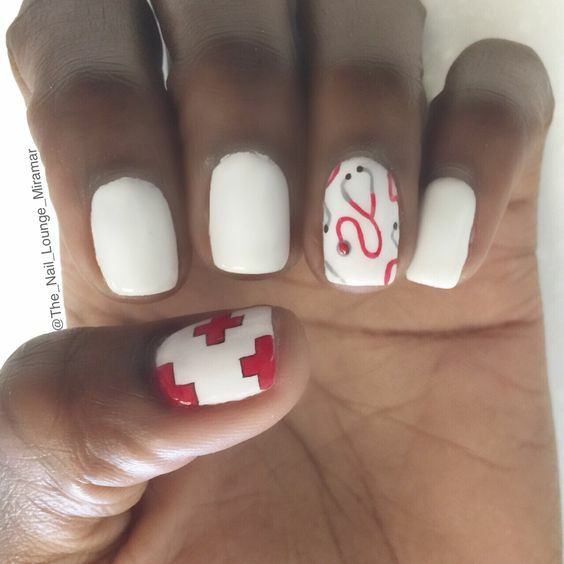 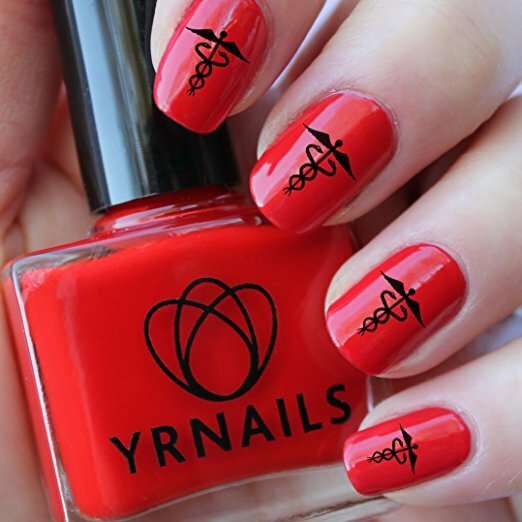 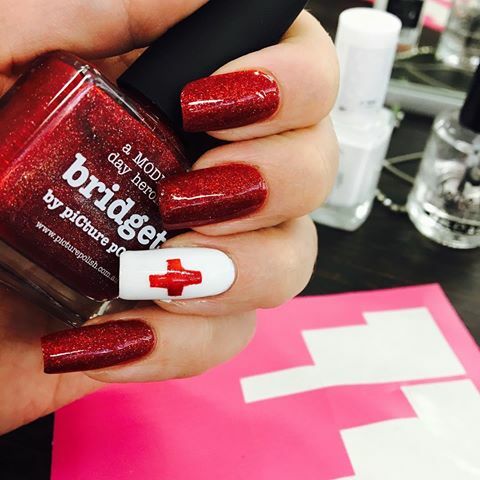 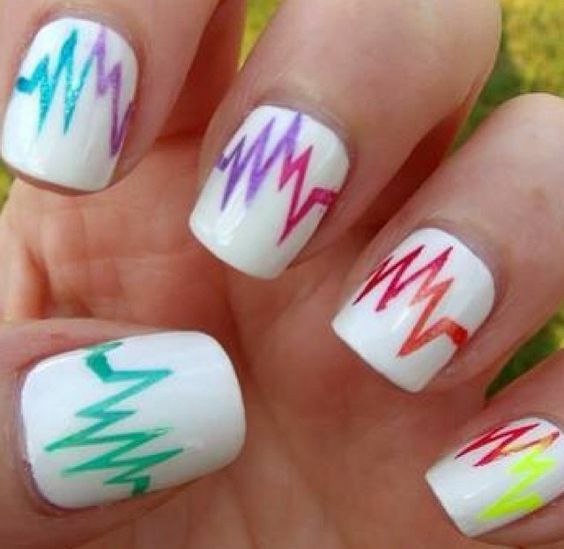 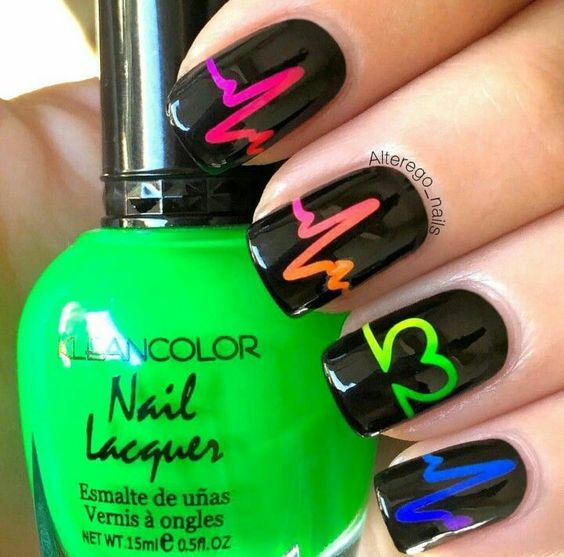 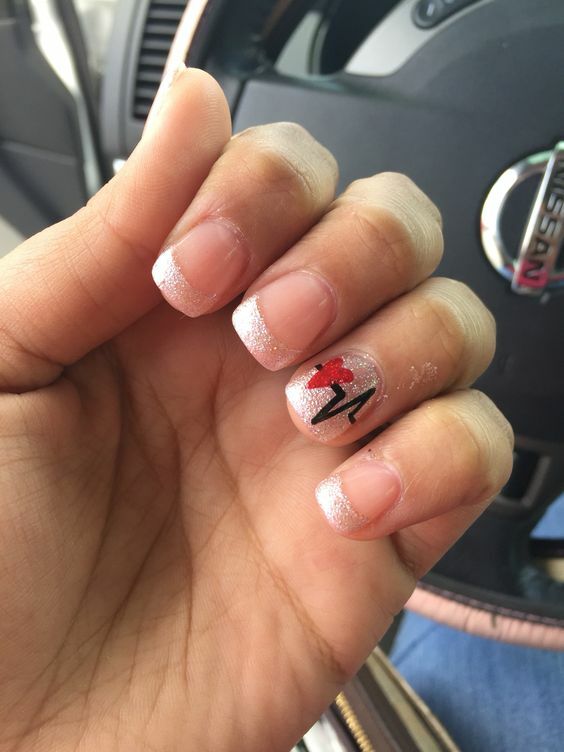 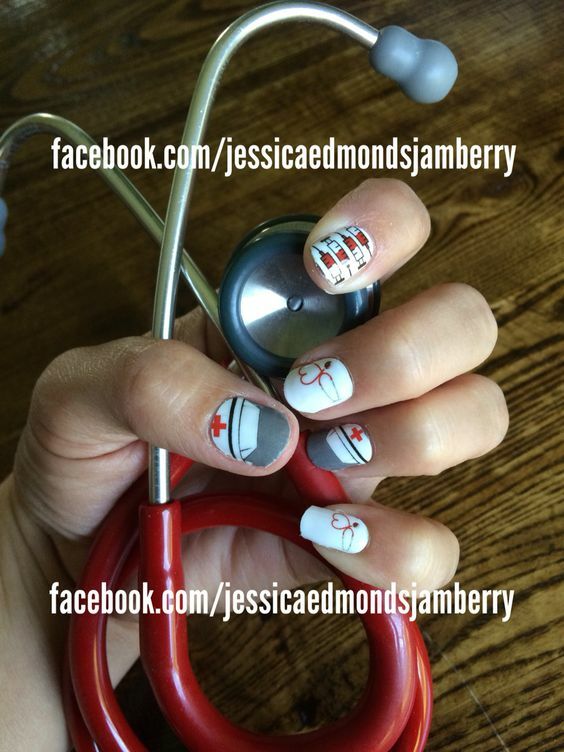 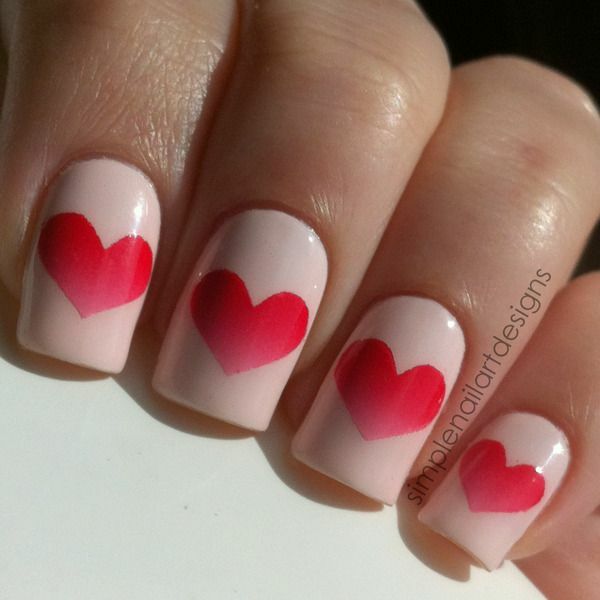 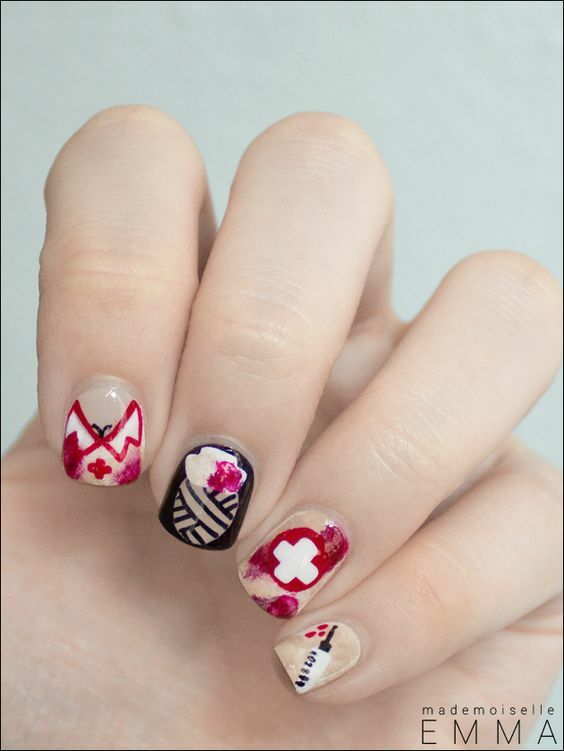 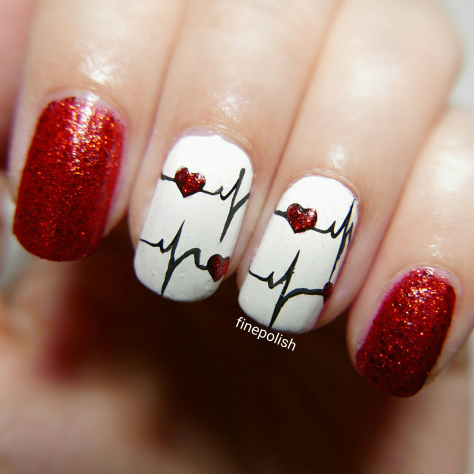 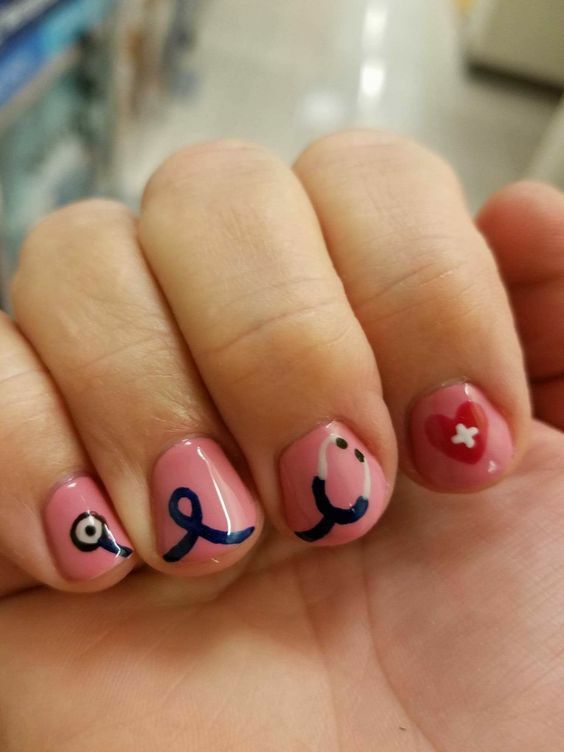 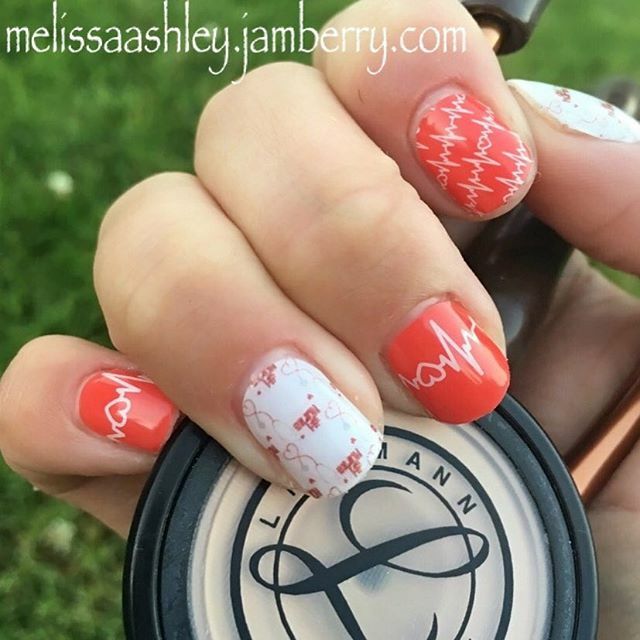 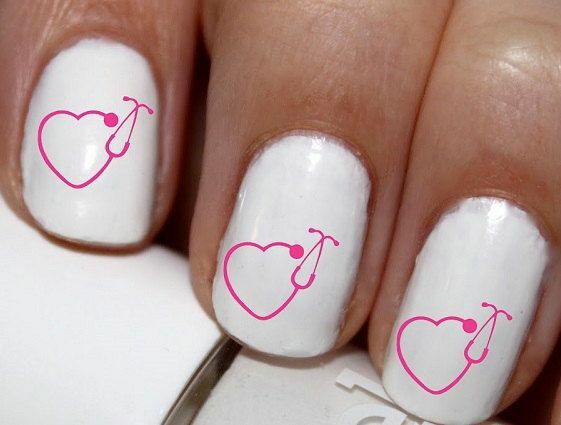 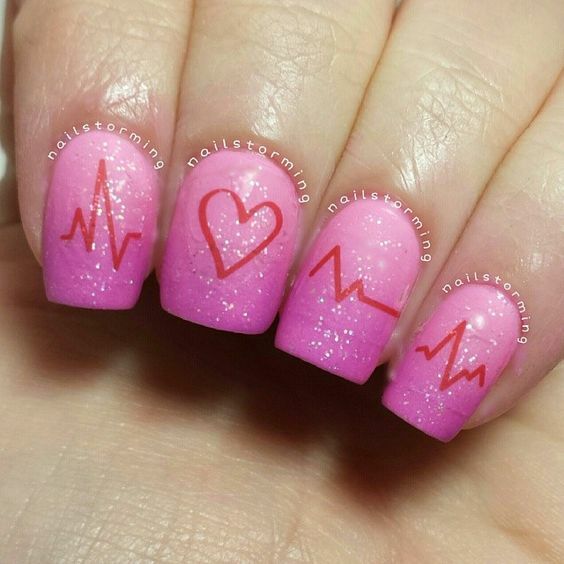 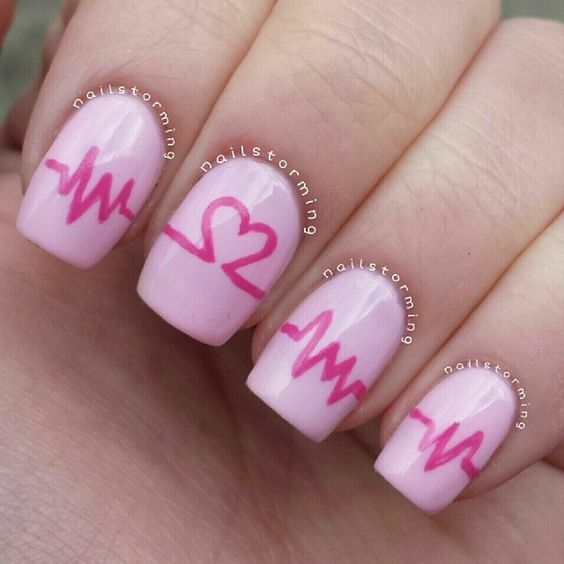 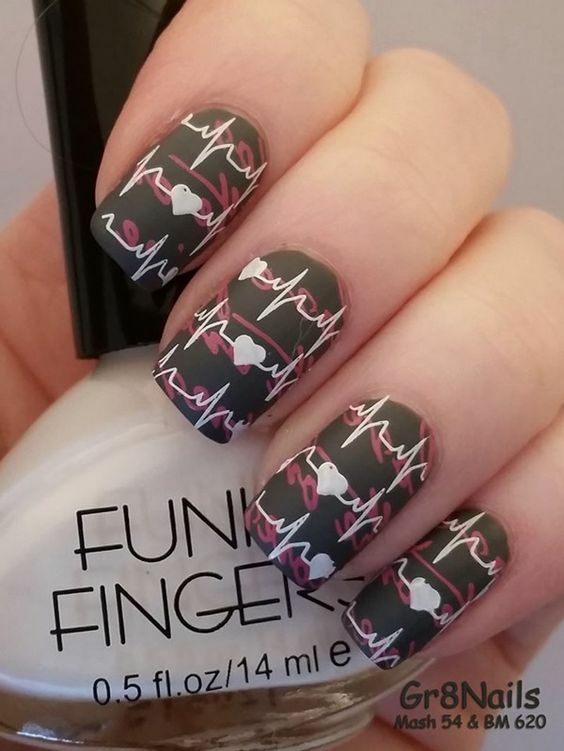 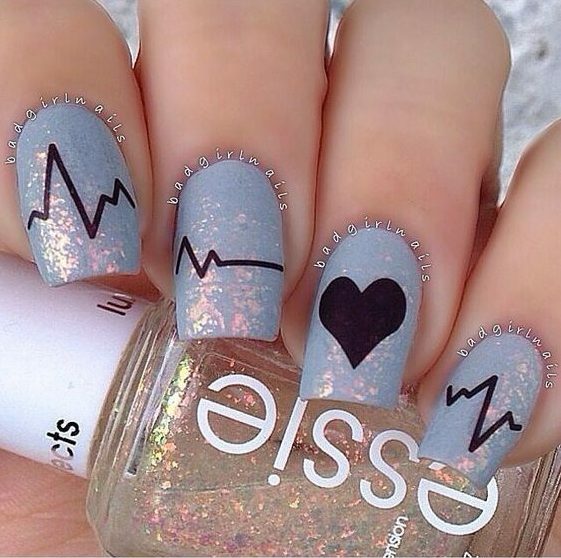 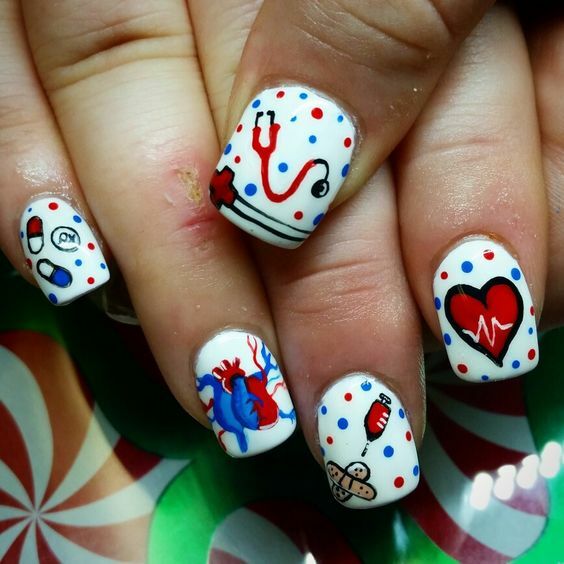 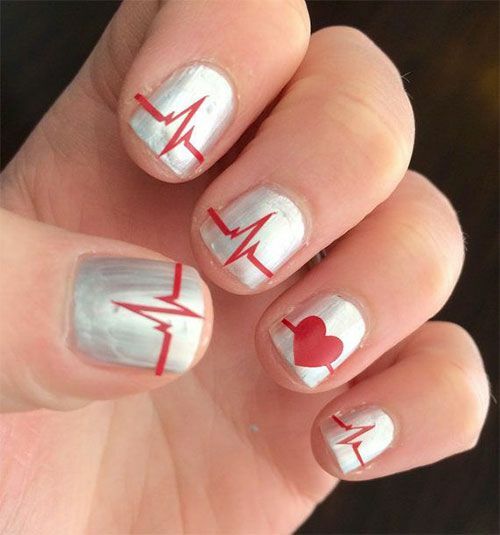 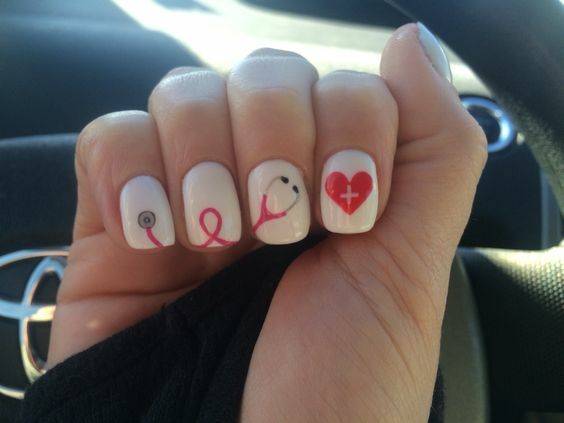 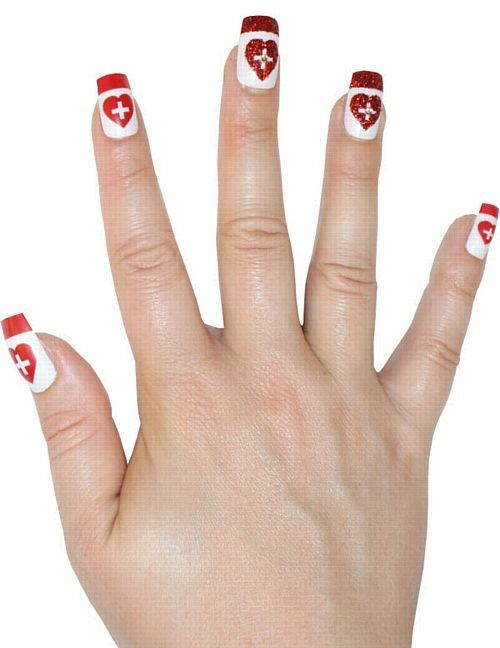 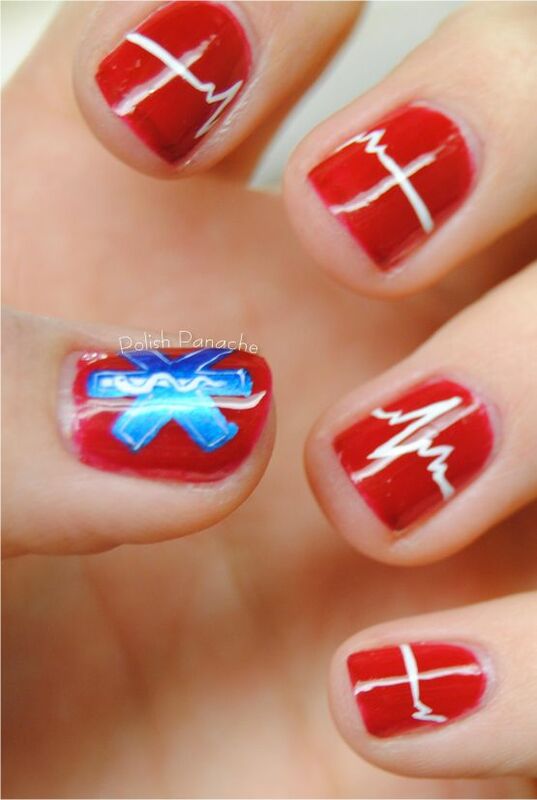 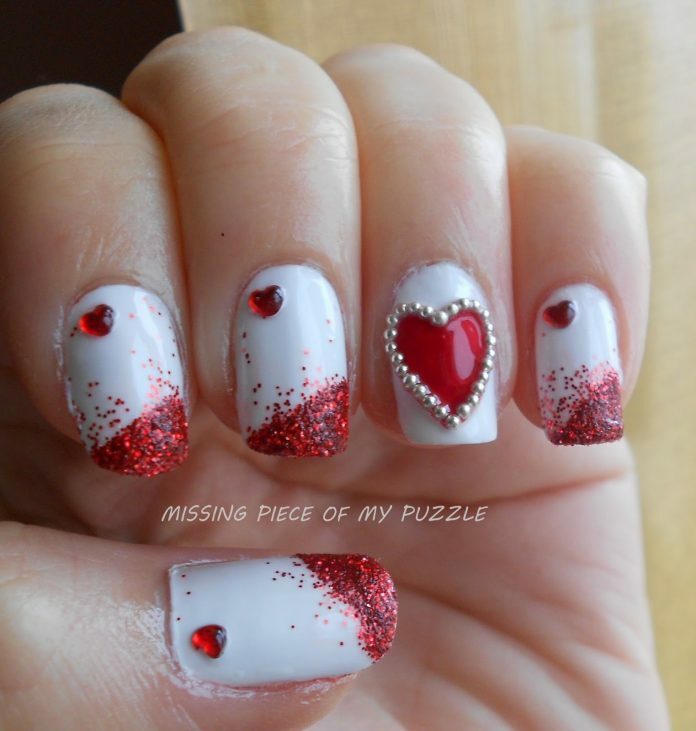 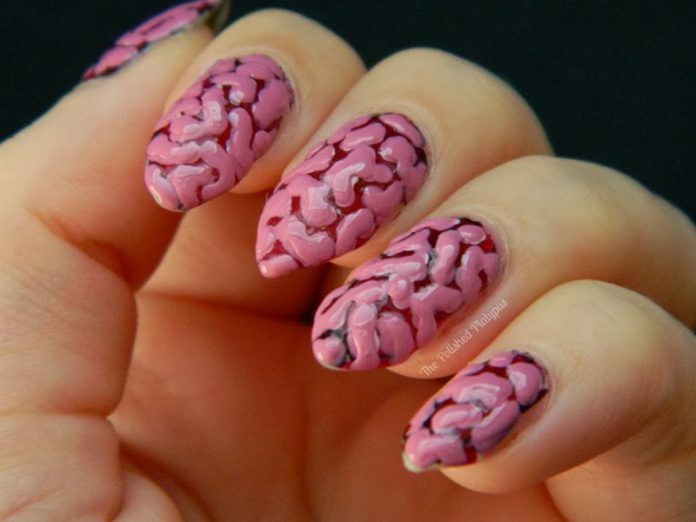 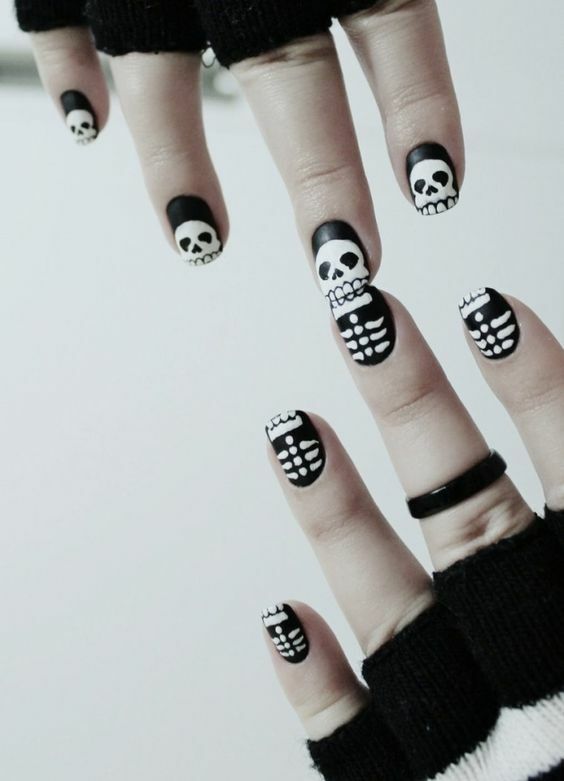 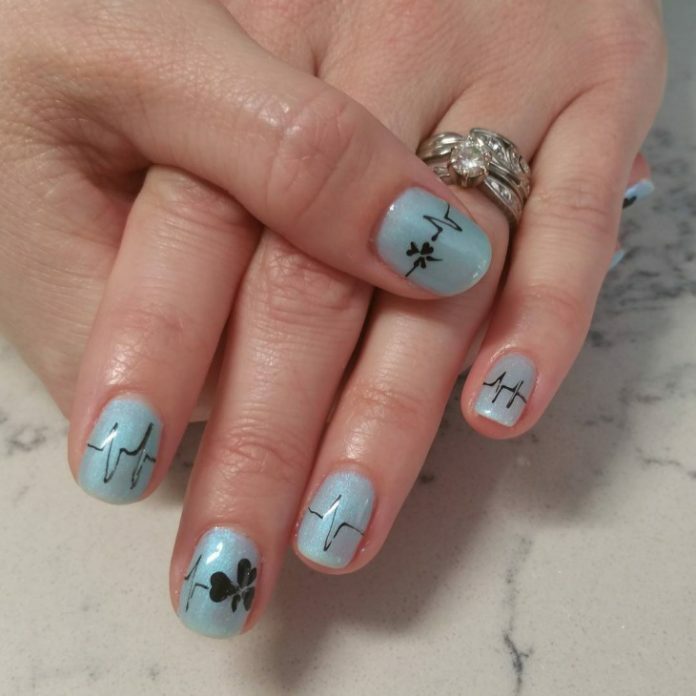 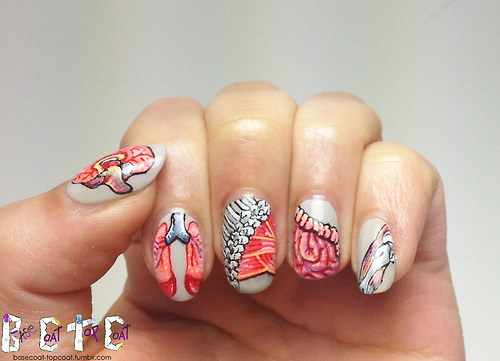 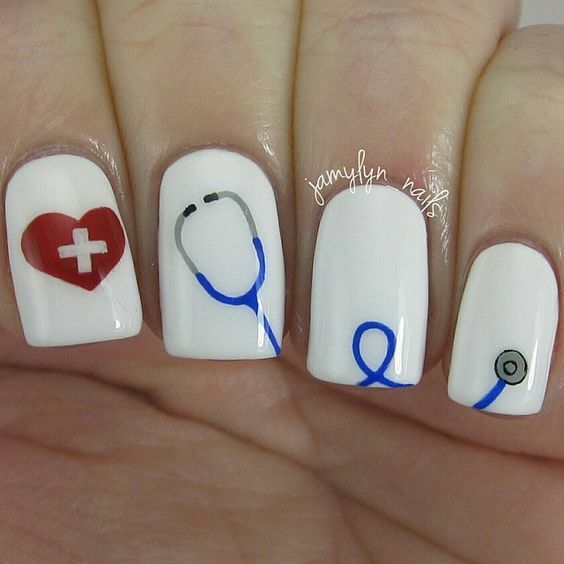 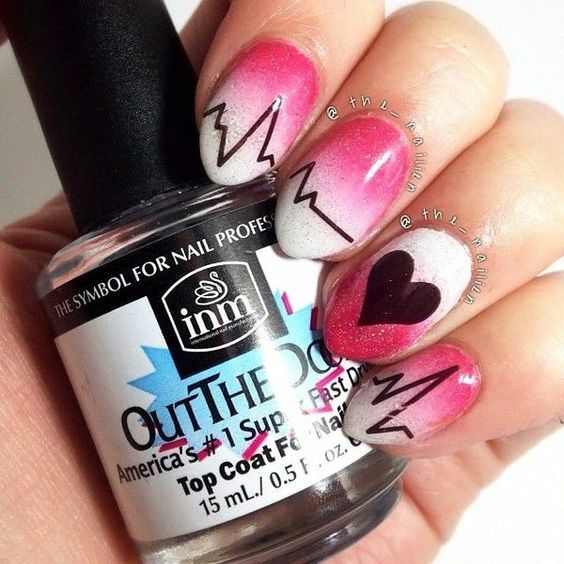 Meanwhile, below are some of the astonishing and breathtaking nail art ideas that signify our dear nurses and their everyday lives. 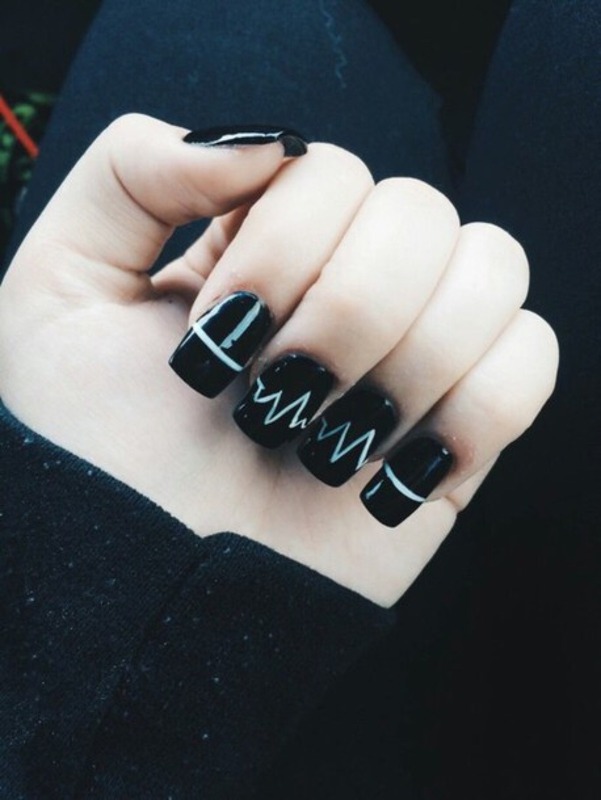 Enjoy the rest of the collection!